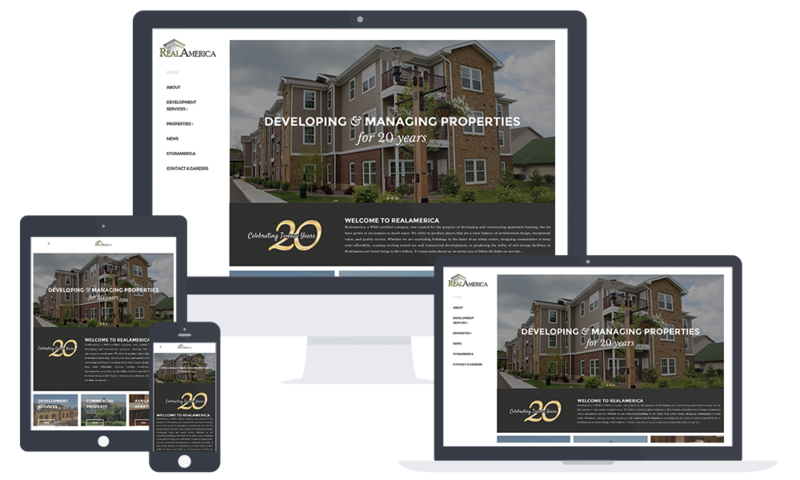 RealAmerica was created for the purpose of developing and constructing apartment housing and became a much larger company than it might have ever thought it could become. The company was celebrating being in business for 20 years and felt that it was time to let the world know that they were an established force in the property world. To do that, the leadership team sought out a firm that could develop a new website that reflected their success as well as push their brand forward. 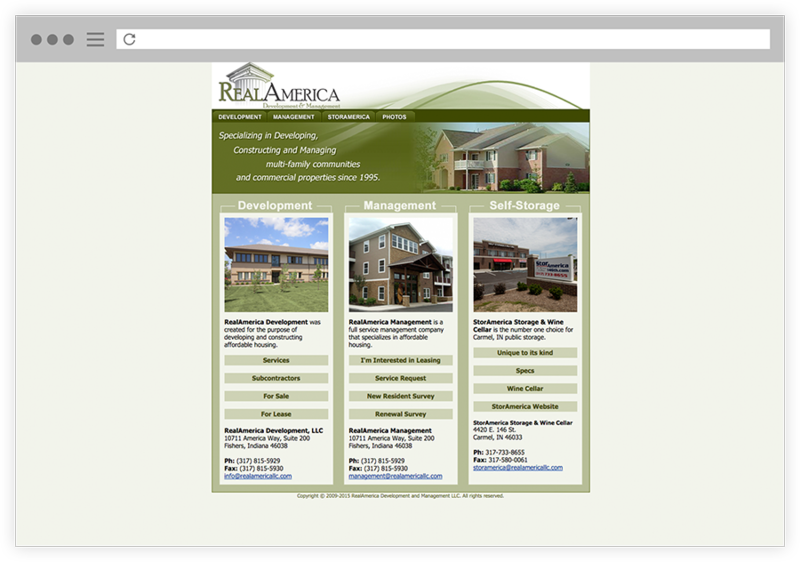 The RealAmerica web presence was outdated, cumbersome to navigate and difficult to use on a mobile device. 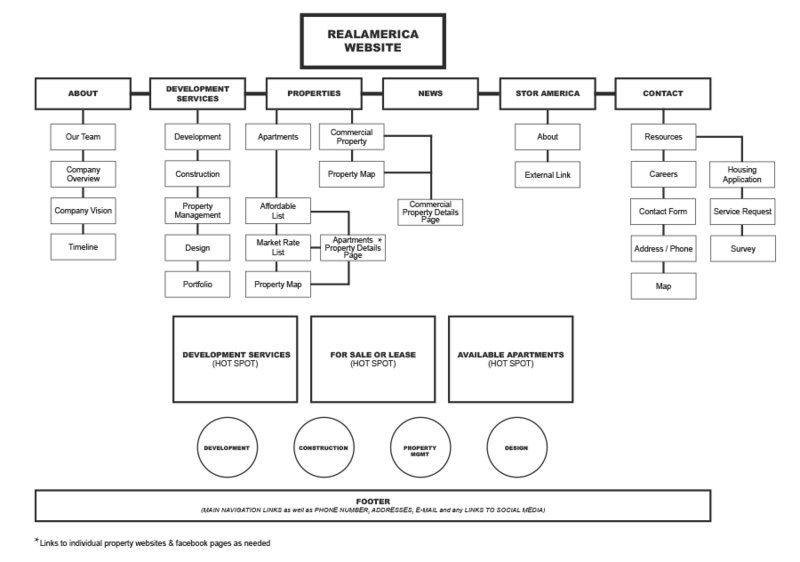 We sought to simplify the new blueprint for the navigation in order to help the user find exactly what they were looking for as quickly as they could. 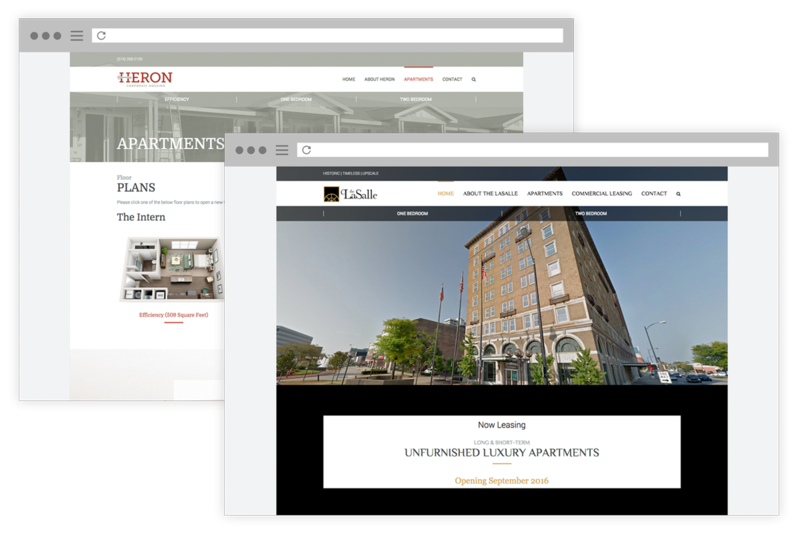 We also looked to create individual property websites that the company could then use as separate marketing pieces that would be tied into the main website. We then pushed some of these properties a step further and developed branding and more robust websites to use for marketing to a different audience all together. The final website was presented with a responsive layout and a clear navigational scheme that allowed the user to quickly find what they were looking for. Whether it was contact information, available apartments, or what kind of services RealAmerica offered, anyone could access this information within a few clicks.  For the high-end properties, logos were created to help give each property their own unique identity followed by websites that incorporated those new brand elements into a template that can be used for additional websites at a later date.